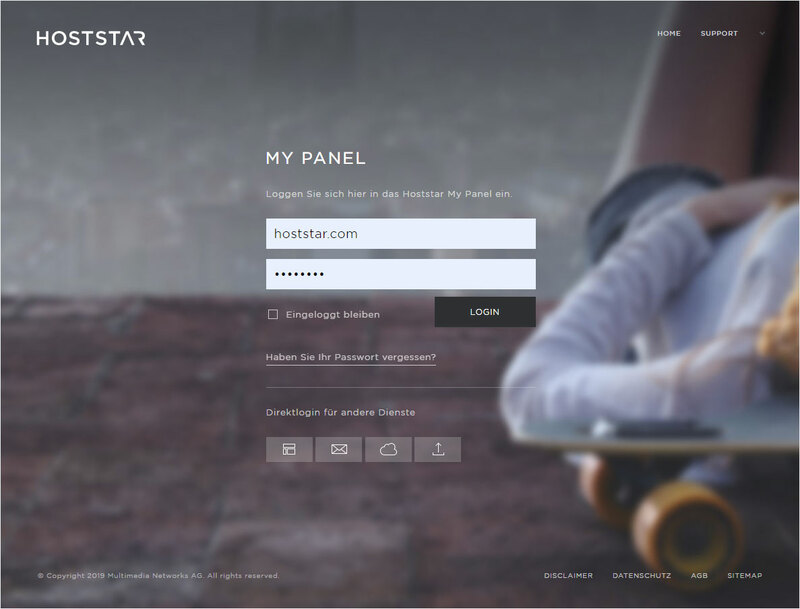 Log into My Panel (my.hoststar.ch). 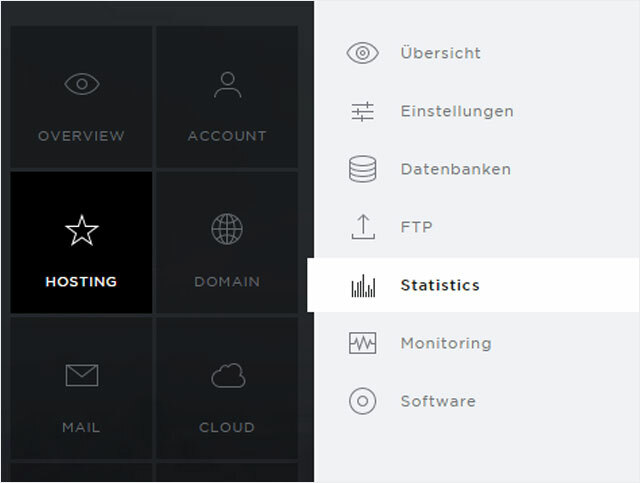 Select the menu item «Hosting» → «Statistics». Select the hosting account to view the statistics for this account. You have the option to display statistics that reflect various aspects of the selected hosting account. This is where you can view access statistics for the selected hosting account for a specific month. You can see the number of visitors, the number of pages viewed, the number of views and the volume of data transferred expressed as a daily average or in a calendar view for each individual day of the month. This is where you can view access statistics for the selected hosting account for a specific month. The data is broken down by days. This is where you can view the access statistics for the selected hosting account broken down by the web browser used by your visitors. You can see which browser is most commonly used to access the pages you host. This is where you can view the access statistics of the selected hosting account broken down by the country of origin of your visitors. You can see which countries have the most visitors who access the pages hosted by you. This is where you can see the access statistics for the selected hosting account broken down by the data types that were accessed. You can see which data type in your hosting account has been accessed most frequently. This is where you can see the access statistics for the selected hosting account, broken down by the operating system used by your visitors. You can see which operating system is used most frequently to access pages in your hosting account so that you can optimise your websites accordingly. This is where you can view access statistics for the selected hosting account, broken down by the page viewed. You can see which sub-page of the respective website was viewed most frequently. Redirects to the selected hosted website are listed here. You can see which website redirects to yours most often. This is where you can view access statistics for the selected hosting account, broken down by search engine. You can see how frequently certain search engines access the pages of your hosting account for the purpose of indexing. This is where you can view access statistics for the selected hosting account broken down by search term. You can see which search terms users entered in order to help them find your website. This is where you can see the access statistics for the selected hosting account, broken down by the duration of the sessions. You can see how much time visitors spent on your website. These codes reflect the availability of the website associated with the selected hosting account.